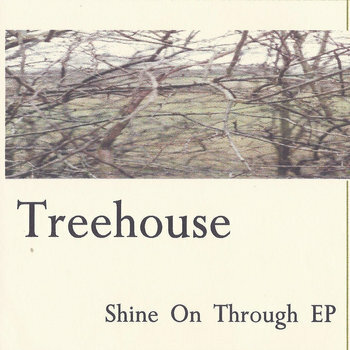 Treehouse came about in 1999 when I was living in rural Geddington. I was pretty involved in the Kettering area music scene again - helping run the annual charity festival Sundaze at Rushton Hall School For The Blind - and attending some of the new acoustic nights that were cropping at venues like The Boot, Earls Barton and The Greyhound, Rothwell, meeting loads of new musician friends. I hooked up with Justin Prescott and my old school pal Pete McAlinden and started putting a bit more flesh on the bones of my acoustic songs. We recorded a 5 track EP in Leicester with Kev Reverb on the desk - it was a very positive experience and and we had a good launch for it at O'Malleys in Kettering. We didn't actually do too many gigs in that line up and our best show was supporting Ezio in the main room of Northampton Roadmender. I had always seen the line up a bit like The Waterboys; a kind of flexible acoustic collective centered around my songs.. Guitarist Hakan Ozel featured as an early duo member and we did quite a few gigs in local pubs earning a few quid here and there with a very covers heavy set. Tommy Hall later joined and we gigged alot as a duo with a strong partnership that worked well but we never got to work much on the original material. Eventually Mark Gill and Tim Harrison joined me and Pete and we managed to work on the songs as a band. We gigged a few times in this line up and this sound paved the way for my debut solo album and for Mark and I to start working very closely together for the next few years.